Erica Balch, LPC, LCADC | Individual, Couples and Family counseling. Welcome, I’m Erica Balch a New Jersey Licensed Professional Counselor and Licensed Clinical Alcohol & Drug Counselor located in Teaneck, NJ. I provide psychological counseling and psychotherapy services to adult, individuals or couples. I help individuals or couples move forward in their personal and professional lives. I have experience treating individuals suffering from depression, anxiety, self-esteem, interpersonal issues, alcohol or drug addiction and Adult Children of Alcoholics/Addicts (ALCOA) who wish to recover from their direct or indirect experiences with addiction. I am also experienced helping individuals struggling with past physical or sexual abuse issues. When you choose to undergo Psychotherapy, you are making a commitment to yourself and your mental health. In session, we’ll work together as a team to determine your goals, build a therapeutic plan and get your life back on track. We’ll discuss your problems in a warm and inviting environment and find realistic solutions for you, together. 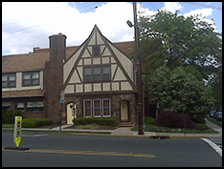 The office is conveniently located off Route 4, across from Holy Name Hospital on Cedar Lane in Teaneck, NJ. Self-pay or insured clients are accepted, click the Call Me button to make an appointment, today.